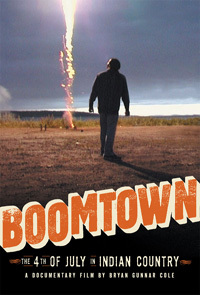 Boomtown chronicles the daily challenges faced by members of Washington State's Suquamish Tribe when they take the annual plunge into "fireworks season"--a five-week selling period that culminates on the night of the 4th of July. Here, thrill seekers and pyromaniacs gather on the reservation for an unpredictably explosive show. Along the fringe of the fiery free-for-all, Native American vendors hustle to sell every last rocket and bomb from their temporary fireworks stands. As one stand owner says, "The 4th of July is Christmas to the Indians."